Yours Truly KJS is also pleased to announce that Jane will shortly be also publishing her new Beatles Blues and Blue Violin Project [BBBV] Newsletter too. As with both of Jane's fantastic publications, there is an open offer from ELO Beatles Forever [ELOBF] to assist in her endeavours! 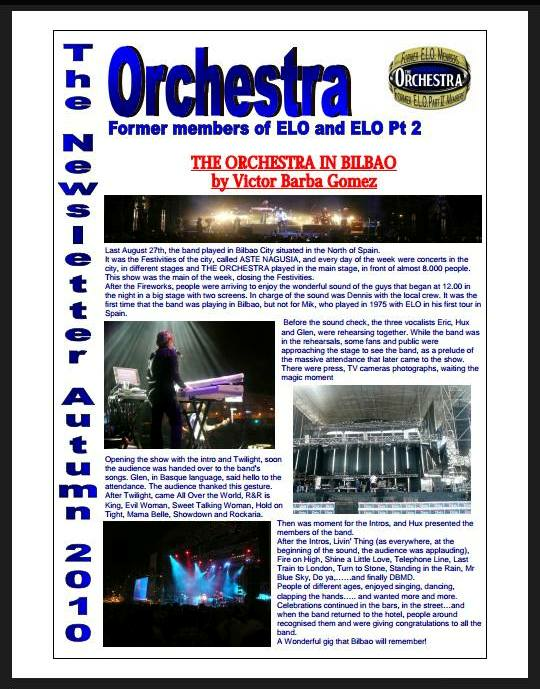 ELO Beatles Forever [ELOBF] recommends Jane Wilkinson's 'The Orchestra' Newsletter to those enlightened folks who enjoy the music of ELO, Jeff Lynne, Roy Wood, The Move, The Idle Race, 'Brum Beat', The Beatles and related artistes.